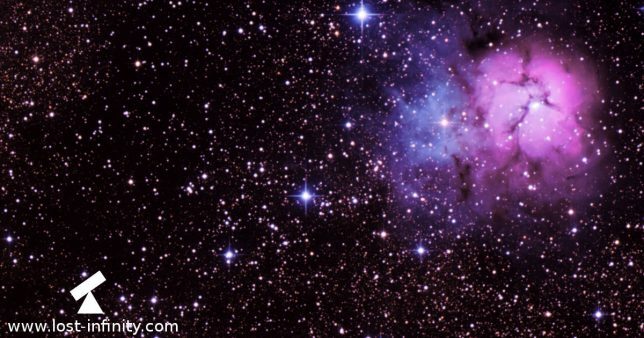 Tonight I decided to image the Trifid nebula (M20) which is quite "close" to the Lagoon nebula M8 from my last session. The seeing tonight was around ~2.4" which could have been better - but certainly it was still sufficient. 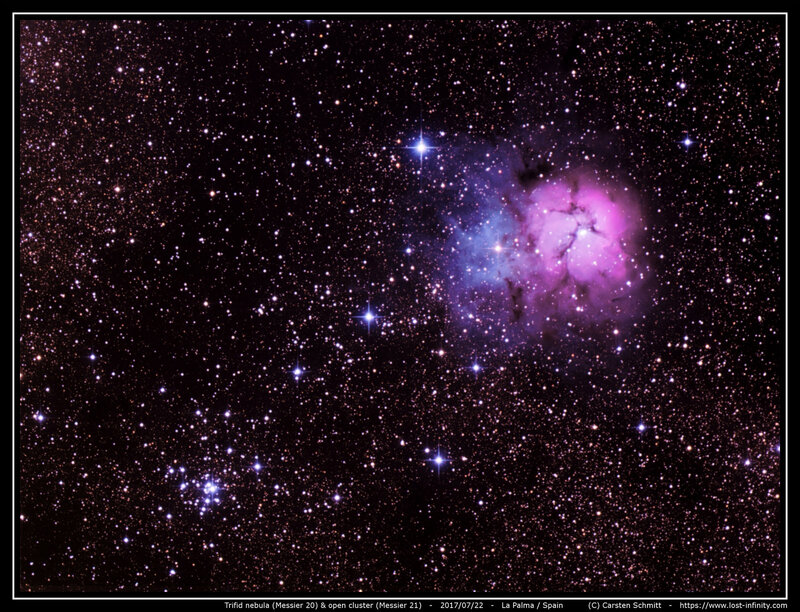 Back in 2013 I already imaged the Trifid nebula with the same equipment but from Boeblingen. It is interesting to see the difference here. For post-processing I used the free software DeepSkyStacker and GIMP. The full resolution images is available here.